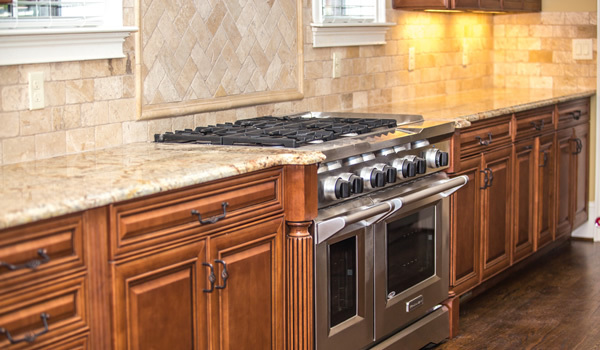 From patios to kitchen countertops, from bathroom showers to stone walkways, if it’s a hard surface in your home, we can seal it permanently at Perma Treat. Perma Treat will bring new life and protection back to your countertops, bathroom showers, tile floors, outdoor patio, and all your hard surfaces. Perma Treat was borne from the idea that sealing hard surfaces shouldn’t result in short-term protection and long-term dirt and discoloration. Sealing should be a permanent solution for such a large investment in your home, never allowing the opportunity for these surfaces to become dull, dirty or difficult to clean. Perma Treat has received 3.45 out of 5 stars based on 2 Customer Reviews and a BBB Rating of A.
Perma Treat Pro cleans, sterilizes and seals natural stone including counter tops, shower areas, driveways and more.